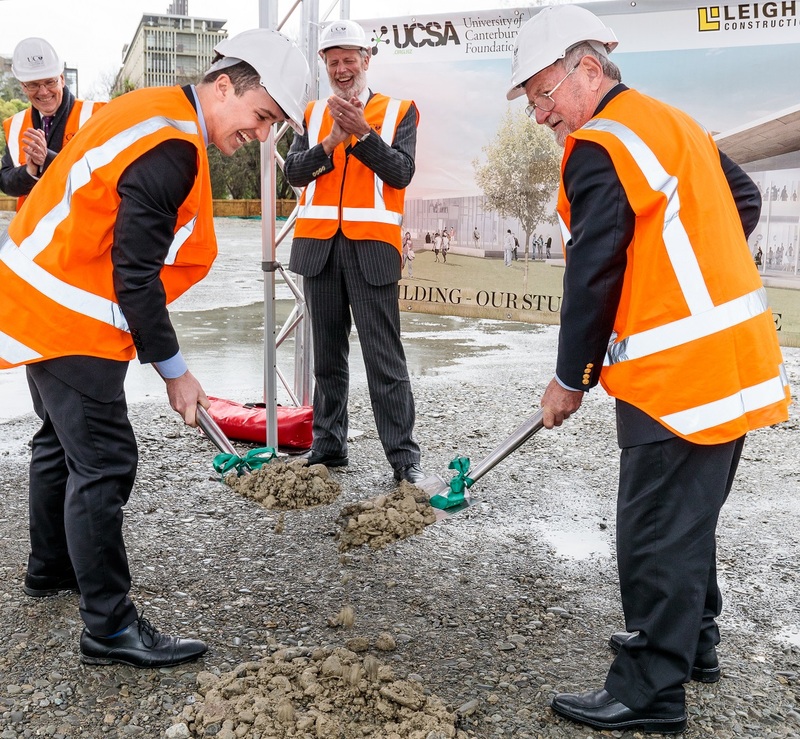 A ground-breaking ceremony was held on Friday to celebrate the new University of Canterbury Students’ Association (UCSA) building, with Leighs Construction to begin work before the end of the month. Despite the wet weather there was a good turnout at the event. Guests included UC alumni, donors, friends of the UCSA, Leighs Construction staff, UC staff and UC clubs and students. UCSA President James Addington and Chancellor | Tumu Kaunihera Dr John Wood were on official ground-breaking duties, along with Vice-Chancellor | Tumu Whakarae Dr Rod Carr and Chair of the UCSA building fundraising committee David Caygill. At the ceremony James also announced the new UCSA building will be named Haere-roa. 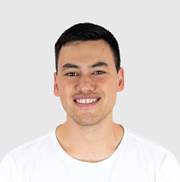 The name has been kindly gifted to the UCSA by mana whenua, Ngāi Tūāhuriri and is linked to the Ōtākaro Avon River, which flows past the UCSA site. The name also strongly aligns with UC’s campus-wide cultural narrative. James explained the name Haere-roa translates to the longest stream or the long wanderer. It recognises the UCSA as a space that hosts and welcomes people. For many UC students the UCSA will be an important part of their journey, it’s a place where they will receive support, access resources, learn new things and meet new people, preparing them for the next part of their journey. Read the full story about the UCSA ground-breaking. What facilities/events can students expect in the new building?Everything that currently happens in the UCSA Events Centre (Foundry & Bentley’s) will move into the new building. The large events that happen on the fields (e.g. Tea Party) will also move back to the UCSA building site. Performance clubs will have a fit-for-purpose theatre. There will also be additional spaces, eg, movie space, outdoor amphitheatre and multi-functional spaces, where our students can organise new events and activities. 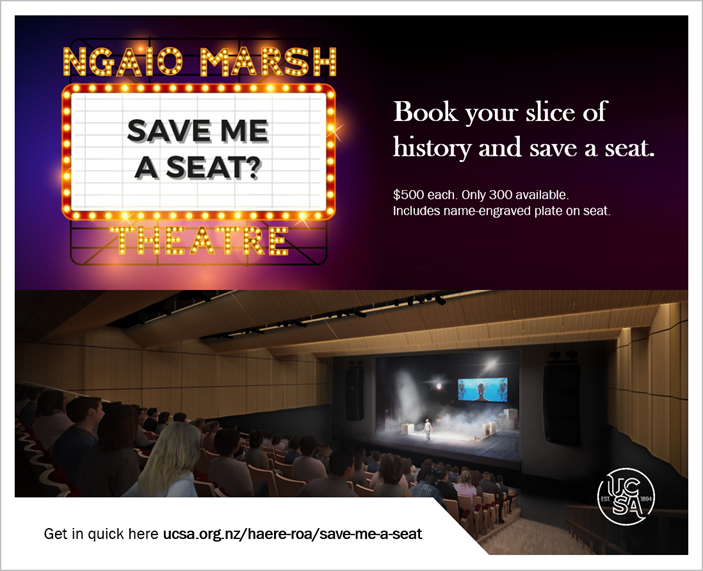 What aspect of the new building are you most excited about?Personally, the Ngaio Marsh Theatre is what I am most excited about. Instead of our performance clubs having to make do with the Jack Mann Theatre, they will now have a brand new student facility available for shows. What will happen to the beloved Foundry building? UC owns the building (UCSA operates and owns the fit-out) so who knows. It could potentially stay where it is and be repurposed.